Order fulfillment is simply when an order goes from a status related to having just been made & paid for, to a status of having been received by (or at least sent to) your customer. 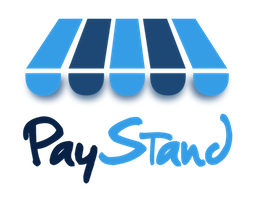 At PayStand, orders can be fulfilled from the Orders section of your Dashboard. When you have sent the products the buyer paid for (or delivered the services you've received payment of), open the specific order to view the Order Detail screen. In the upper-right corner of those details is a nice text field for you to enter details of how you delivered the order (e.g., tracking number, "services concluded on date"). Then, click "Save & Update Customer". How to "fulfill an order"? Click the button "Update Status & Customer" - (This will send your customer an email receipt with the updated status for the order/payment/donation made). Your order status is now updated, your customer has been updated via email, and your funds are now available quicker for withdrawal. Why does order fulfillment matter? Communication between merchant and customer is a powerful defense against abuse, and PayStand helps in having order fulfillment further communicate to customer the status of their order. When you click "Save & Update Customer", an email is sent to the customer with the updated order information. This is in addition to the email they've already received, which contained the original order information. These messages reinforce their confidence that they've made the right purchase, and that both merchant and buyer are legitimate parties. That additional confidence also reduces the risk of the transaction itself, and thus funds clear processing faster. Fulfilling your orders and communicating with your customers is one of the best ways for everyone to win!